The world of lighting is a complicated one. We’ve gone over the meaning of lumens and why RGB lights are so loved – now, it’s time to compare two other forms of illumination. LEDs and CFLs may not seem quite different to you, but they definitely differ when it comes to makes selecting the perfect type of lighting. Light-emitting diodes, more popularly known as LEDs, create light when an electrical current passes through the bulb. More importantly, LEDs are able to give off a bright, fresh illumination similar to natural daylight. A CRI (color rendering index) measures how colors look under a false light source compared to how it looks under natural sunlight. It runs on a scale from zero to 100, and we’re happy to share that our LEDs have a CRI measurement of 85. That's pretty great! Standing for compact fluorescent lights, you could guess that CFLs are smaller, compact versions of fluorescent lighting. Light is created when an “electric current flows between electrodes at each end of a gas-filled tube,” says Constellation.com. Originally designed to replace incandescent light which creates light from being heated, CFLs give out similar light to incandescents. Before answering, let’s throw a third option into the mix. Incandescents. 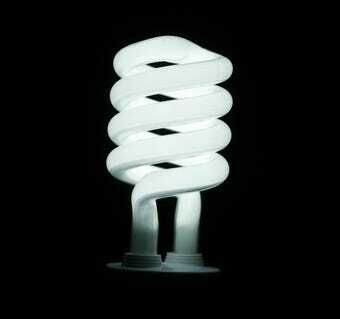 When choosing between regular incandescent bulbs and CFLs, the latter is the smarter choice. This is because CFLs require between 25 and 35 percent less energy that incandescents, sites Constellation.com. Plus, about 90 percent of incandescent’s energy is released as mere heat. Though, LEDs are all around the better way to go. The lighting is brighter and more natural looking. Another great selling point? 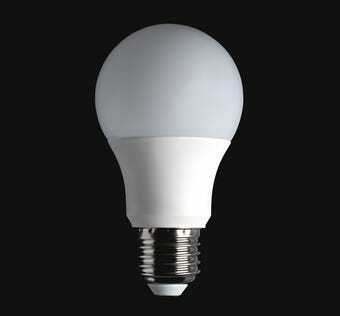 LEDs use 85 percent less energy. While they may be more expensive up front, they save money in the long run as they last longer and are energy efficient. Additionally, a majority CFL bulbs are not dimmable, while there are various options for dimmable LED lamps and bulbs. LEDs have proven to be the best option for lighting time and time again, but it's always useful to understand why. Want a rundown on the meaning of lumens to help you better shop out the best lighting for your needs? Check out our ultimate guide to lumens!